Emergency Intercommunication - What is it? 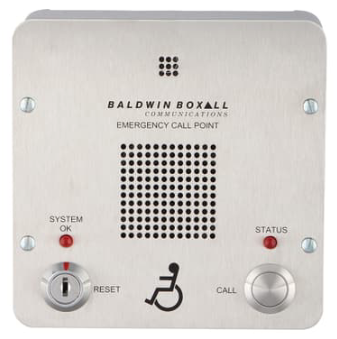 Warden Intercom Points (WIPs) are used to communicate between floor wardens and the main Emergency Evacuation Panel. Disabled Refuge Systems (DRS) - What is it? 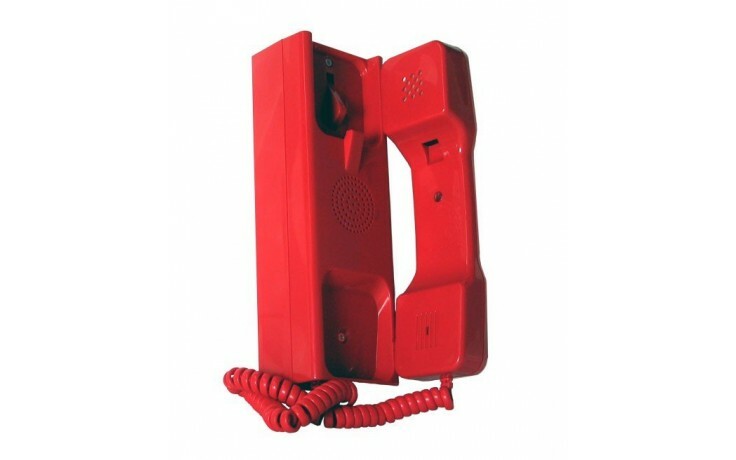 Rugged red handset with hearing aid compatible earpiece. ‘Push door’ or ‘slot lock’ versions. Combined unit featuring a fire telephone and disabled refuge in one housing. Same features as individual the outstations. Seen as one point on the control panel. Built in induction loop (hearing impaired). 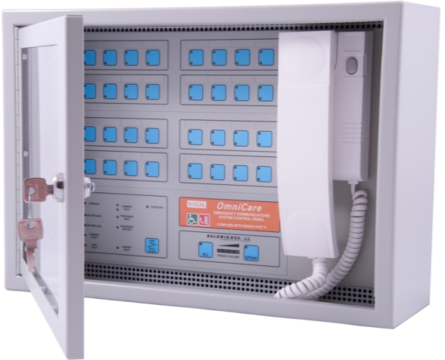 Front panel features Braille, Tactile and luminescent text..
Volt free contact to operate over door lights etc..
Reset via control panel or remote unit. 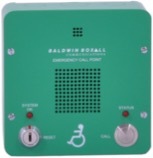 Enables connection of 3-part toilet alarm kit to the emergency Intercommunication System / DRS. Acts as a booster unit to allow cable runs to exceed 200 metres. 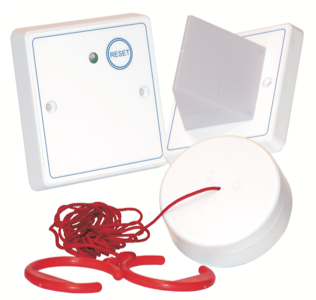 Up to Two (2) Toilet alarm Kits can be connected to a Repeater. Components available separately, allowing for combinations of White/Stainless steel finish. 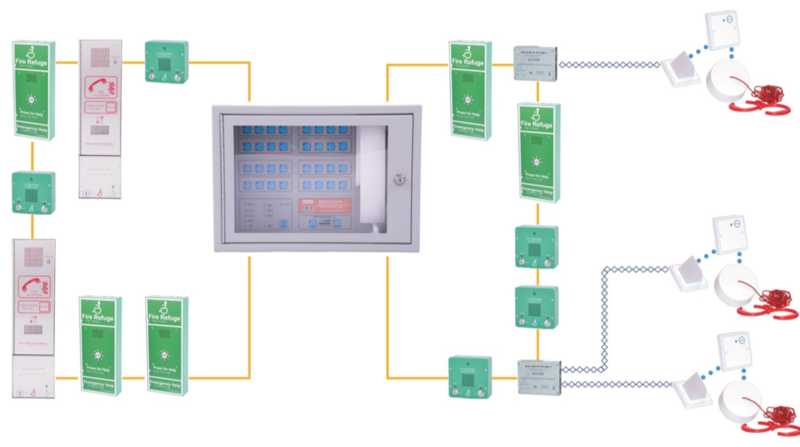 Emergency Intercommunication & Disable Refuge Systems - Why are they needed? To conform with national standards and building codes. 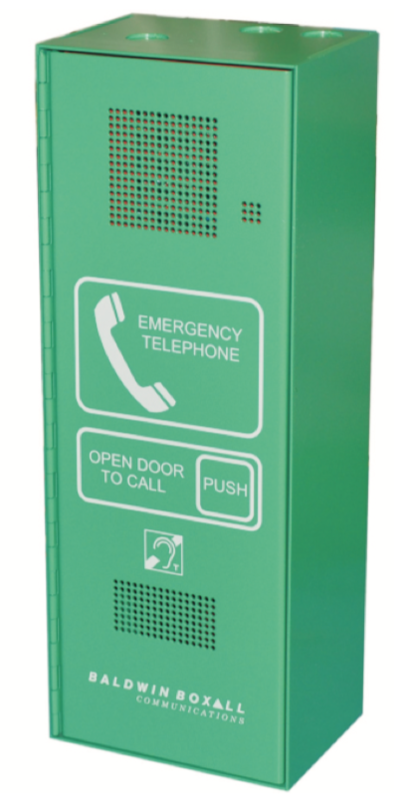 To communicate with ‘emergency personnel’, ensuring a controlled evacuation. To communicate with ALL occupants within a building, to assist and reassure throughout an emergency. To communicate with occupants of ‘Refuge Areas’. Who is responsible? Public service providers or building occupiers/management. Key Point? “Accessibility for ALL”. What does this mean? Access to all goods, facilities& services of a company must be available to all. 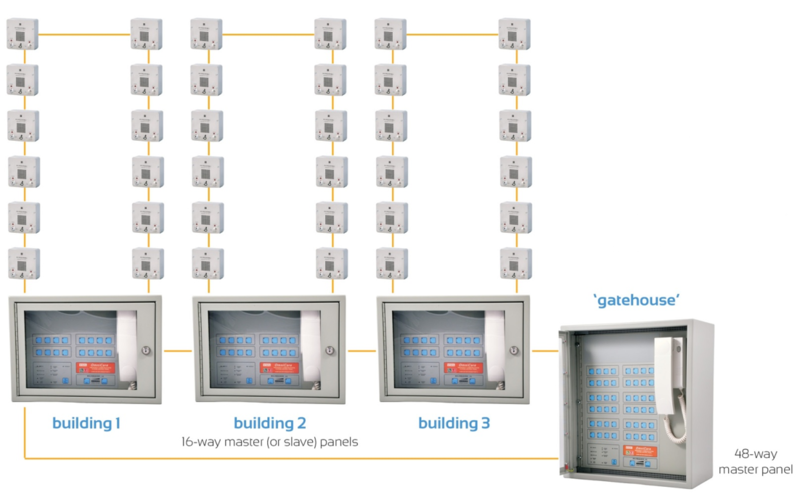 Typical System Placing any type of remote unit on a single loop. 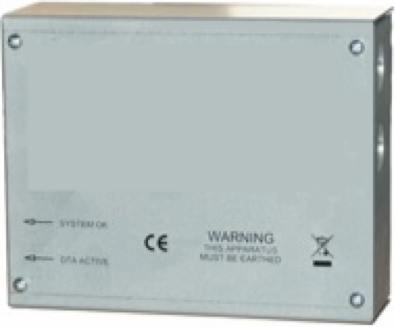 Disabled Toilet Alarms are connected to the system via a repeater unit. Enhanced Fire Rated Cable - Four (4) Core Screened LSOH, 1.5mm. 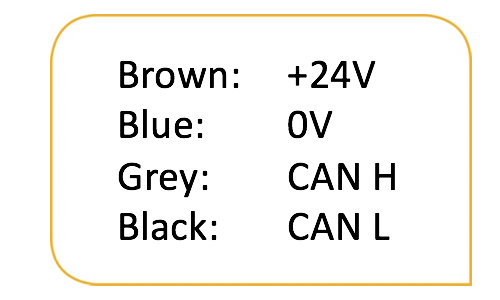 The above distances refer to a loop wired intercommunication system and assume that there is a break in the cable and the system is running off a near-discharged battery.